The Big 3 Roll Up is proud to present Storm Surge! This all star lineup of guests breaks down everything going on with The U after National Signing Day. 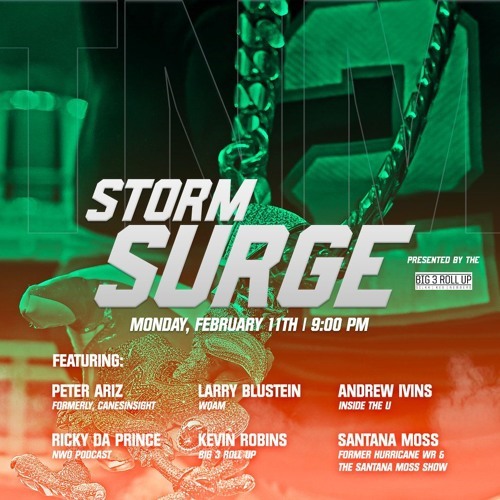 Kevin Robins (Big 3 Roll Up) hosts with guests Peter Ariz (formerly, CanesInsight), Larry Blustein (WQAM), Ricky Da Prince (NWO Podcast), Andrew Ivins (Inside The U), & Santana Moss (Former Hurricane WR & The Santana Moss Show).